Okay there are many clubs out there, but here is a list of those that have a good O gauge following. It might not be complete or definative but we will try to keep it up to date. If you are a member of a club and would like a listing then just e-mail the details and I will add them in due course. I am obviously at the mercy of these clubs for the accuracy of the contact details. I have started with Lancashire but that is just because it is local! Website: Ilford & West Essex club link. The Group meets on the second Friday evening of each month at 7.30pm. The Group, under the title of ‘Solent Sub-Division’, is affiliated to the NMRA British Region to which many of the Group’s Members also belong. The Group has sections for American N, HO, On30 and a general one for ‘Other Scales and Gauges’ (e.g. OO, O and G). The Group holds ‘Members Only’ Running Meets four times a year. The Group also hold four General Public Meets a year in February, May, August and November at St Mary’s Parish Centre, Green Road, Alverstoke, Gosport PO12 2ET. Meet details are published in ‘Roundhouse’ (the NMRA British magazine). The club closest to us here in Blackpool and welcomes all comers on it's open days to play trains! 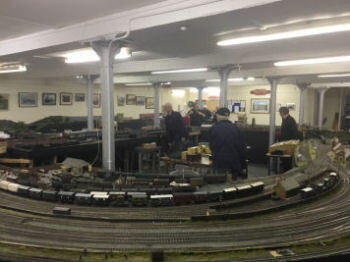 Northampton and District Model Railway Club. A club with an active, progressive and increasing membership. From Gauge 1 through O and OO to N gauge, we have members interested in various scales and gauges including a very well attended junior section building their first joint effort layout. We also have several exhibition layouts in O and OO with others being built. The club possess a large six line test track incorporating three OO, three O and one Gauge 1/G scale. We also have a separate N gauge test track with two ovals. Test track running nights take place every three weeks. 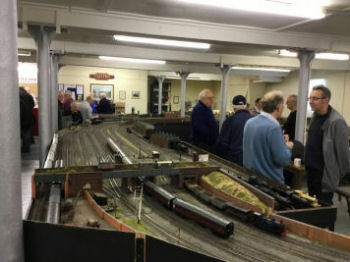 Banbury & District Model Railway Club. Has an o,gauge section with a 22ft by 14ft multi-gauge test track. Meeting times are Tuesday evenings 7.00pm and Thursday mornings 10-15am. Website: Barry and Penarth Club Link.